90 days. Large drumhead-type cabbage. Savoyed leaves are sweet, crinkled and tender. Large, crisp heads weigh in at 6 to 8 pounds with excellent mild and sweet flavor. 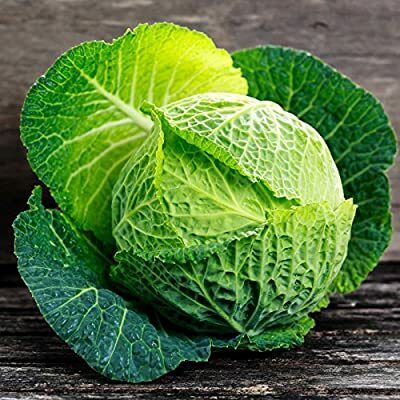 Does not give off the sulfur smell other cabbages do when cooked. Cabbage has a short stem and is best enjoyed late summer. Approx. 8,580 seeds/oz.